With so many internationally-known companies going digital and outsourcing jobs on the Internet, the need for skilled stay at home employees only goes up. But while the number of companies, which are interested in hiring both American and international, overseas workers is growing, the services they are interested in getting differ a lot. Copywriting, web design, virtual assisting, customer service and various sales positions are still being offered but not as frequently as before. 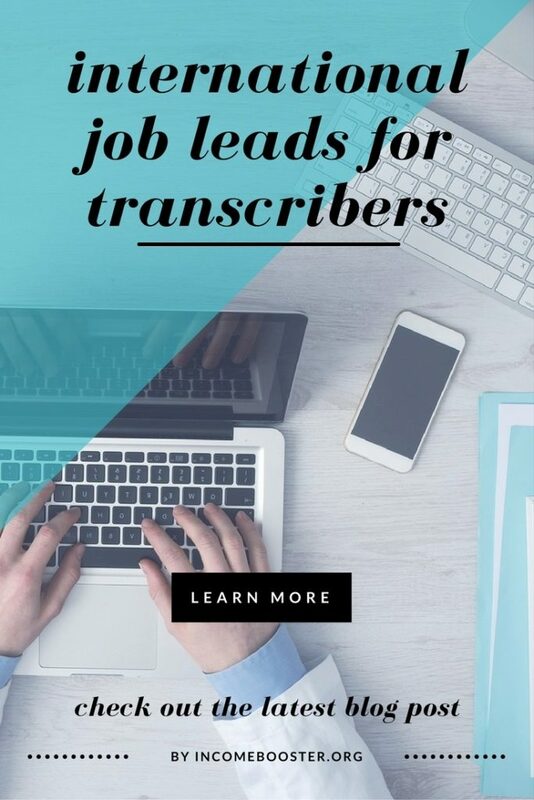 Today is seems that the most demanded position is transcription, at least this job is being sought-after by both applicants, who want to earn good rates for their work, and employers, who need to have their assignments done quickly and efficiently. If you have been following the latest Internet trends, you should have noticed that image and text content is being outranked by video content. As a result the number of employee positions connected with video creation is continuously going up. And to make video content more interactive, it needs subtitles and closed captions, which are produced by transcribers. Transcription is the process of rendering any audio file or video commentary into a text form that can be later used for various purposes. Apart from video producers, transcribers are hired by companies of various sizes that need to make text versions of their presentations, conferences, etc. Today landing a work at home position in transcription is not an easy task but we managed to find some good employers, where you can put your skills to use, even if you live outside the United States of America, Canada or the United Kingdom. Please note that this is a summary post, created for your convenience. Most of these opportunities were already reviewed by us and you can find links to full articles below. We have reviewed many employers on this blog but there are still job-seekers that find it hard to land a good-paying position. In such case we advise to create your own business opportunity, instead of looking for one. This can be done with various freelancing websites but Fiverr is one of the easiest among them. In brief, Fiverr is a marketplace, where you can offer various services for 5 dollars. Here people sell all kinds of stuff but we have seen some successful freelancers, who make subtitles for Youtube, transcribe presentations and various business documents. With Fiverr clients come to you, so you won’t have to chase them by yourself. Though the process of setting up a professional gig page may take some time, you have to do it just once and start earning. Or you can order one professional service (logo creation or promo video for your gig) for free (we have found a $5 sign-up offer for you below). Quick announcement: we have found an international job-seeker willing to try Fiverr in real time and share his story with us in the future. So we will soon release a series of articles with tips and tricks to working on this website. Don’t forget to subscribe for updates and be the first to receive this exclusive content. One of the best beginner-level work at home job is being offered at Rev. 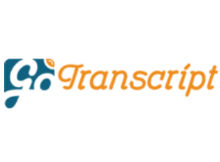 This company has tons of transcription offers and most of them require recreating audio from TV shows, modern movies and educational videos. Although the pay is beginner-level too ($0.40-$0.75 per video minute), many freelancers earn decent sums of money, while working internationally. The education platform created by Literably is looking for employees, who will be using their hearing and transcribing skills to help children with their education. Workers at Literably.com earn at least 10 dollars per hour to correct reading mistakes of children or students (learning English as their second language) via PayPal. International applicants are welcome, as long as you can provide good service. 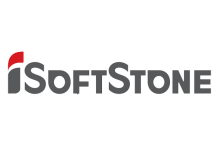 Being a technology consulting firm that also helps IT companies look for workers for their ambitions projects, Isoftstone regularly posts international jobs for applicants that are both good with computers and foreign languages. Many of these openings happen to be in the transcription field with hourly rates exceeding 12 US dollars. 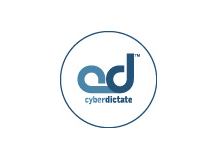 Accutranglobal is a Canadian company, which handles voicewriting and realtime stenography orders for their clients. In order to provide fast and quality services, Accutranglobal is always looking to hire skilled employees on remote basis. 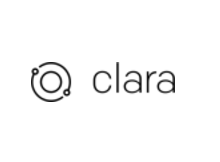 At the moment they mostly hire people from USA, Canada and the UK (but you have to check with them, as the application page is open for international members too). With many clients in the entertainment industry, Daily Transcription is always on the look-out for new freelance contractors. The orders come in packages (hence the “on-call/as-needed” operation basis), so all transcribers should be ready to provide the best service in the shortest periods of time, when needed. 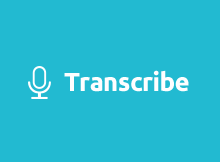 If you have a good skill-set and some experience (novice transcribers are also welcome to join), Daily Transcription doesn’t mind your location and hires people from Canada, the United States, African and European countries, etc (check official website for more info). VerbalizeIt is an exciting employer for international stay at home workers that are fluent in more than one language. 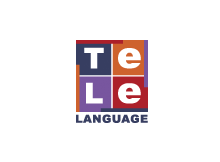 This company provides business translation solutions but there is also a transcription option, so you can take freelance tasks in your native language or English, if it’s your second language ($3.00 – 6.50 per media minute). In order to start working you need to pass a proficiency test and start earning money that can be withdrawn via PayPal. Serving as a job-board for transcription service providers all over the world, CastingWords always has good offers, starting at $0.10 per minute of audio file. Although the rates sound novice-level but there is a level-system, according to which reputed members have access to more complex and higher-paying offers. There is no application to fill out but you’d have to work your way up in the marketplace. In the transcribers community Tigerfish is known as the best solution for a beginner stay at home worker. Although the company doesn’t offer that big a financial reward for their employees, they provide a perfect environment for learning the ropes of this business. 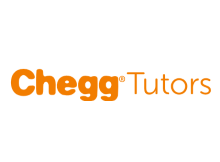 Depending on your expertise, you can earn up to $10 per hour. Independent contractors, who reside in North America, can take up a job offer by Landmark Associates, Inc. They are usually outsourcing transcription projects, which usually require you to recreate audio files of interviews, panel discussions and focus groups in a text form. There are many more employers for US residents but as far as this article is dedicated to companies that hire regardless of your location, the US-only ones will be grouped into a separate article. Meanwhile, don’t hesitate to leave your comments to your favorite places for finding freelance work below.